Daina is one of our certified graduates of the School of Supernatural Children’s Ministry. Daina already had a desire to train other people in SSCM and to start and lead PowerClubs before joining our leadership team. Imagine this spreading all over the former Soviet Union? Glory to God! She wrote: “When communism and Iron Gate fell, everybody was hungry and thirsty for Christianity. It was a time of spiritual revival in our country. Soon we had a new need. We needed to find a way to minister to kids who were attending with their parents. At that point I was in my early teenage years. And I had no idea how to do Sunday school and children` s ministry… All I knew to do, was reading Bible stories… Everything else mostly came from the leading of the Holy Spirit. We believe, like the others, God has sovereignly sent Daina to us. 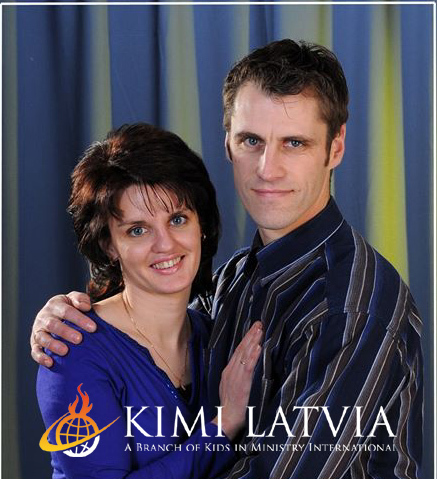 Praise God, there is still time to reach the children of Latvia!